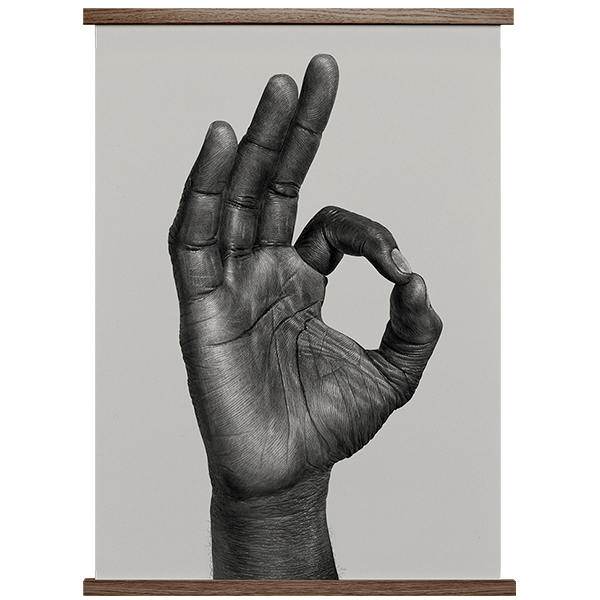 The OK poster from Paper Collective depicts a right hand showing the OK sign. The skilful pencil drawing was created by Norwegian illustrator Børge Bredenbekk. Børge Bredenbekk is a Norwegian illustrator and graphic designer who has studied art and design in England and worked for both European and North American clients. Bredenbekk’s work is often a combination of fine technical skills and captivating narratives.